A sweet blend of blues/gospel/americana/r&b with a splash a cayenne pepper. 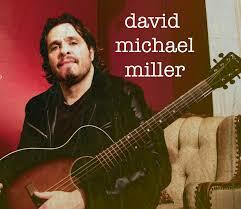 This is what David Michael Miller and his band, Miller and The Other Sinners bring to the table. 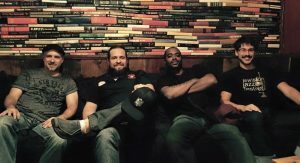 After being introduced to Carlton Campbell and Daric Bennett of The Campbell Brothers by his producer, Jesse Miller, the magic that happened on the recording of David’s solo album “Poisons Sipped,” created an opportunity for them to work together to bring that music to a larger audience. First Chuck Campbell lent his pedal steel on the tracks, “Memphis Belle,” and “Spent,” but soon after David and Darick Campbell did a few shows together and found a great vibe. Darick then recorded lap steel on “Hand Me Downs,” and “Carolina Bound.” Various Western New York artists such as Jesse Miller, Stephen Jacob McLean, Jim Ehinger, Barry Arbogast, Serena Young, Jasmine Neeley, Rufus McGee Jr, Ronnie Davis and Jason Moynihan have contributed to the album.